On August 8, 1985, Jack Mefferd’s life changed forever. An innocent climb up a tree quickly turned into the fight of his life when he was met with 7,200 volts of electricity. After shutting down a 5-square-mile-grid, he fell 30 feet and landed so hard the impact restarted his heart. He suffered burns over 25% of his body and endured countless other traumatic injuries including a compound femur fracture. Over the next several years, he would undergo more than 20 surgeries. And yet, nothing could have prepared him for this. For the past 10 years, Jack has been fighting an invisible war. His nightmare began in 2008 when he was hit with a lamp by his then-wife after telling her he’d filed for divorce. When Jack called the police, she confessed. But, in an effort to spare his children the trauma of witnessing their mother being arrested, Jack decided not to press charges. Despite the fact his wife had a history of abuse, the police “strongly encouraged” Jack to leave the premises for the night. He voiced his concerns about his wife taking off with the kids, but the police strongly urged him to leave anyway to let the situation cool down. So, he complied. The next morning, the nightmare began. Jack returned to the house to find his wife and children gone. When he called the police to tell them his children were missing, the officer told him he couldn’t disclose the location of his children, but assured Jack that they were “finally out of harm’s way.” It would be 20 days before Jack would see them again. The only time he heard from them was on Christmas Day for a 3-minute phone call that was carefully monitored by his wife. He would find out months later that she’d hidden them in a domestic violence shelter under the guise that she was the one being abused. Despite the fact his wife had a history of abuse against not only the kids but also Jack, the judge awarded her primary custody. Jack was awarded weekends and child support. He worked 3 jobs to make ends meet while sleeping on friends’ couches. For the next several years, Jack’s life became a nightmare. It was plagued with countless well-child checks by local law enforcement, DFS calls and 16 court appearances. He was served four times with baseless ex-partes and interrogated by authorities at an airport after returning from a work trip, all at the hands of a vindictive ex-wife. Sometime in 2010, a counselor said the words “parental alienation” to him and handed him a book called Divorce Poison. Within those pages, the emotional and psychological war he was fighting was finally revealed. Likened to tactics used in WWII, an alienating parent indoctrinates hate for the other parent into the kids using rituals, false memory implantation, fear and manipulation. DFS and law enforcement are then unknowingly recruited to reinforce the indoctrination through well-child checks and false reports of abuse. The child learns to hate everything about the other parent and is then turned into a weapon and used against that hated parent. Typically, the end result occurs with the complete rejection of the targeted parent by the child. After 10 years and almost a hundred-thousand dollars, Jack decided to clear their names and walk away. Despite his best efforts, the indoctrination of hate had finally won out. Since that time, he and his wife have started a nonprofit organization called Parental Alienation Speaks (parentalalienationspeaks.com). They use their story as a platform to help others understand what parental alienation is and what it looks like in everyday life. They recently even traveled to Jefferson City where Jack shared his story in front of the Seniors, Families and Children Senate Committee. 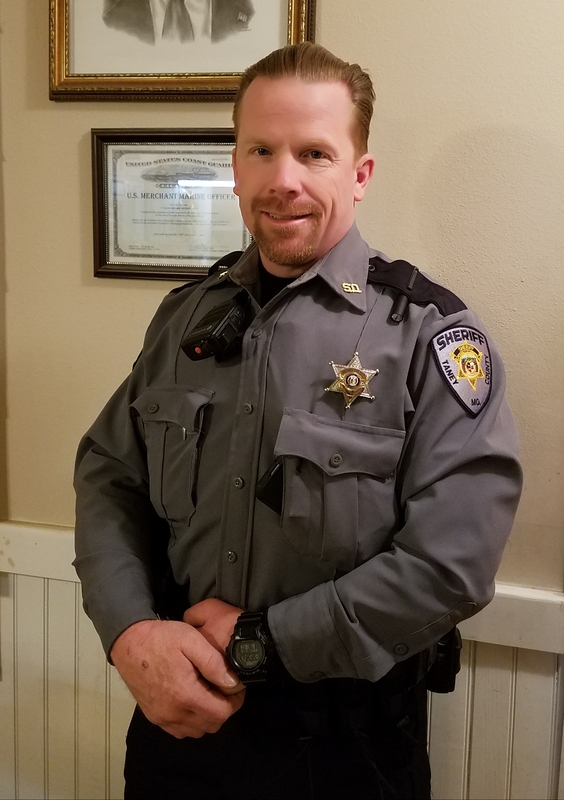 This past June, just two weeks before facing his children in court, Jack accepted a reserve Deputy commission with the local Sheriff’s Office. He now works side-by-side with the very officers who came to his home to serve him with papers and to perform countless well-child checks. He believes education is the key to changing perception.